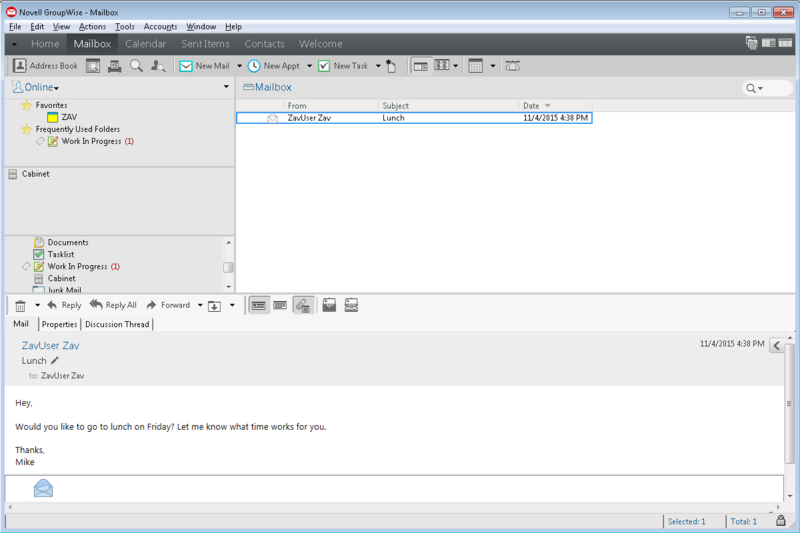 GroupWise enhances the email you love with enterprise tools and a sleek, dynamic user interface. GroupWise provides classic email and calendaring features in a modern and efficient package. It runs on the latest data center technology, supports the latest devices, and sports a user interface that dynamically adjusts to deliver just what you need, just when you need it. Best of all, it keeps your email—and the critical business data that traverses it—firmly within IT's control.